Summer is now in full swing and the hot weather is upon us. Although that’s great news, it’s important to consider how the hot weather can affect your car and your driving. 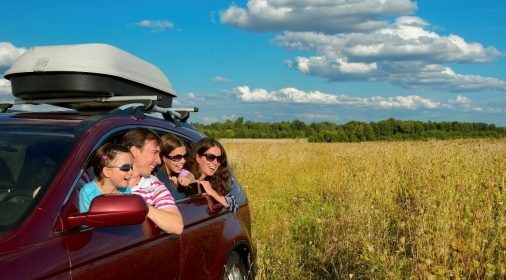 Here’s our top Summer driving tips to keep you fully prepared when driving in Summer. Our first Summer driving tip is to ensure that you check your tyres regularly, especially before long journeys. The heat causes air to expand which raises the pressure inside your tyres. This affects both the performance of your car and your own safety, by lessening the tyre’s grip of the road, affecting the handling and potentially even leading to a blowout. Driving in Summer can also aggravate cooling systems due to the higher temperatures, so it’s important to check these to avoid overheating! It is recommended by experts to check your coolant and fan every couple of weeks, and clean out any debris that could threaten to block the fans. During the Summer, we often forget to top up our windscreen wash, thinking that we’ll only need our windscreen wash for the gritty winter weather. However, there is still cause in the summer as bugs and smearing are lethal when the sun is shining and obscuring your vision. Dazzle from the Sun can very easily disrupt your vision and consequently cause accidents. The first and perhaps most obvious thing to do is to slow down, leaving a large gap between you and the car in front. 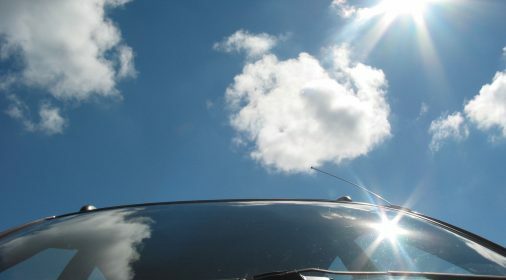 Wearing sunglasses and making sure your windscreen is clean also makes a huge difference, being a surprisingly effective way of countering glare in even the sunniest of conditions. Finally, dipping your headlights whilst driving in Summer can also help increase your visibility to other drivers. If your car is left in the heat for a long period of time, your paint could start to fade or run. A handy Summer driving tip is to avoid this by parking in shaded areas, or alternatively invest in a cover for your car to protect it from the sun. However, if you do notice some issues with your paint, call ChipsAway and we will be happy to help! Driving in Summer sun and warm weather can very easily make you drowsy, especially if you’re driving for long periods of time on straight roads. On long journeys, remember to keep hydrated, drink caffeine and take regular breaks. You should also avoid consuming a heavy meal beforehand and try not to travel at times that are out of sync with your normal body clock. Finally, if you suffer from hay fever in Summer, then it’s important to check that your medication is suitable for driving, as the wrong one could leave you feeling drowsy. We hope you will find our Summer driving tips useful when out and about this Summer! And if your car is looking a little worse for wear, you can request a free estimate with ChipsAway for a high quality, convenient and cost-effective car body repair.